This project replaced existing Asbestos Cement Pipe (ACP) that was located within previously existing backyard easements and not in accordance with City standards. The existing 4" and 6" ACP lines were abandoned in place and replaced with 8" Ductile Iron Pipe (DIP) within the roadway right‐of‐way. 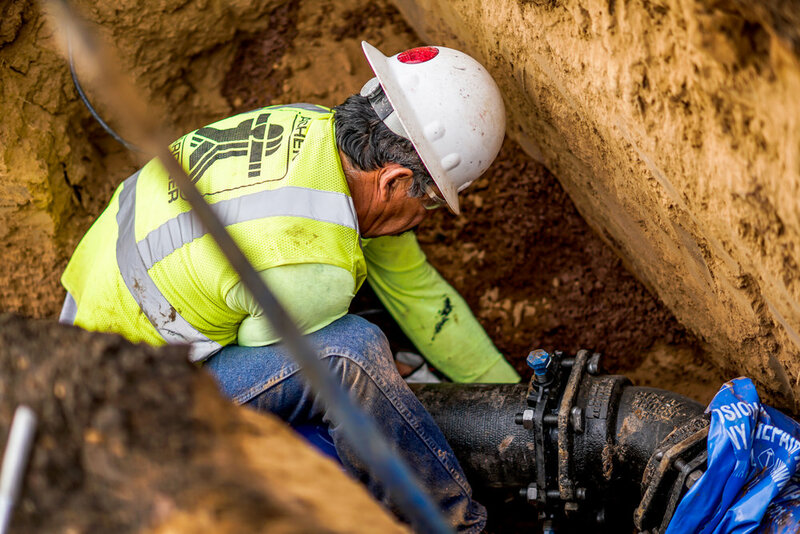 The existing water line connections to each residence were abandoned in place and reconnected with new copper piping to the new water mains within the street. Existing water service connections for residential properties abutting Hayden Road between Thunderbird Road and Sweetwater Avenue, and abutting Sweetwater Avenue between Hayden Road and 76th Street, were abandoned in place and new connections were made from the existing house connection to the existing 12" or 16" water main located in Hayden Road and the existing 12" water main located in Sweetwater Avenue, respectively. The project scope included 11,525 LF of 6” DIP, 4,157 LF of 8” DIP, 31 LF of 12” DIP, 29,000 LF of copper public and private service, 165 residential service connections and meters, 57 gate valves (6” to 12”), and 24 new fire hydrants. The project also included asphalt pavement, concrete flatwork, and onsite residential hardscape/landscape removals and replacements. Resident/homeowner coordination and data collection was the most critical component of this project. Achen-Gardner Construction took the lead during the pre-construction phase to establish a process to meet with each owner/resident, confirm the proposed new infrastructure or provide constructability input and assist with field value engineering in coordination with the project designer based on new or changing requirements, collect the required City data for the water department, and closeout each residential connection with approval from all parties. Our process ensured accuracy of service related data on both the City and private sides, acceptance of the proposed installation by homeowners, installation scheduling/coordination with residents, accommodating individual resident needs, and obtaining post-installation acceptance by each homeowner, salvaging existing meters and components to the City. 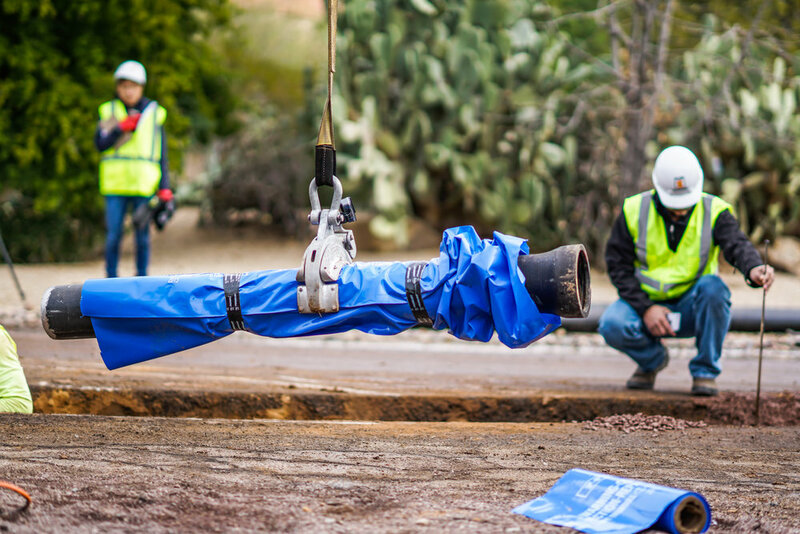 Tie-ins were completed with limited disruption by scheduling with each resident and completing all work prior to the actual new service cutover. 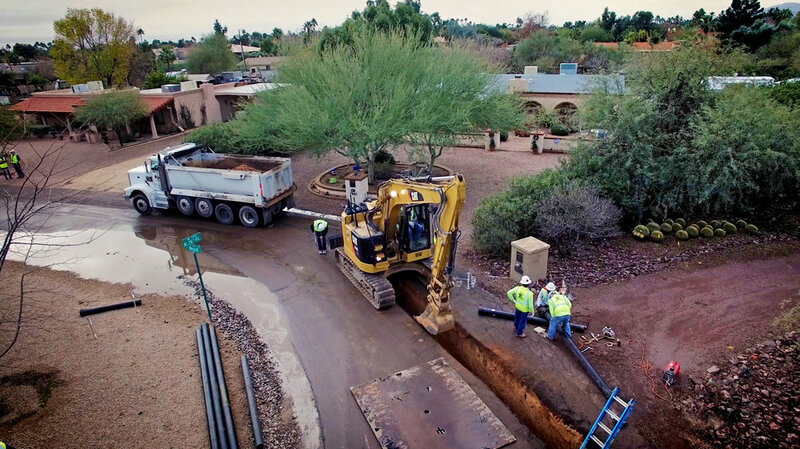 Maintaining a 24x7 hotline and direct contact to our project superintendent provided residents immediate access and response to questions and issues.